Just here to suggest some changes about this mode. To begin with, passmode is an underrated mode, it's actually pretty fun, teamwork is mainstream in this mode, and it should be more played but there are some inconvenients that should be taken off. First, the lack of passmode maps, Hyperium isn't enough and it has some problems to my mind. Like, nobody uses the side to TD, the glasswall needs too many damage to be broken, why are the top laser for at the side too ? Some may argue that we should try putting all TD map in passmode but I understand that some maps like temple-M would be useless in passmode. But have a mode with only one map is clearly useless too. 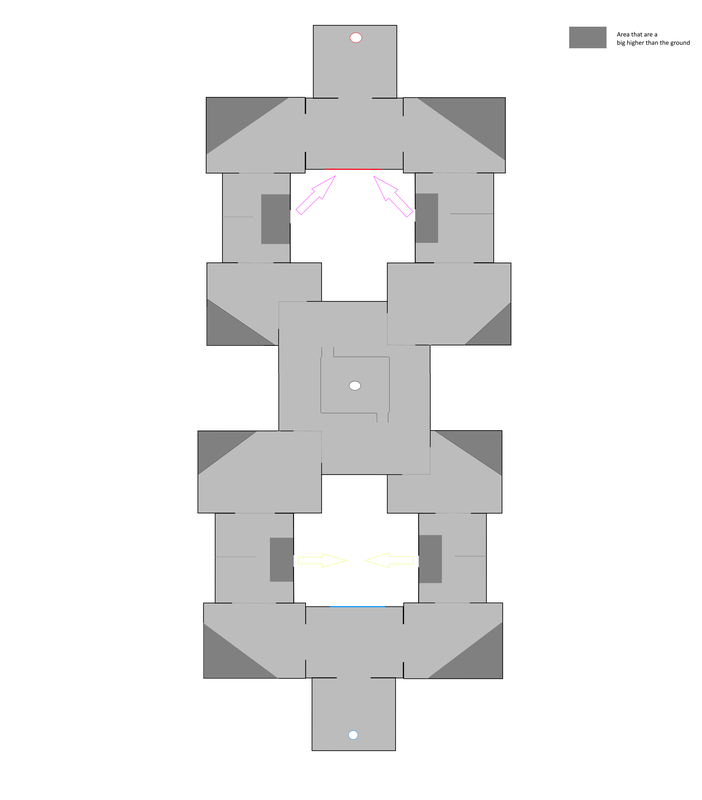 Look at the Neo-Arena mode, nobody wants to play that mode but there are still DM Duel 1v1 rooms. I have some ideas for new passmode maps but I know the dev' are pretty busy with their works.. Maybe I'll try to sketch some of them. But we could try at least to put other maps,to see how this mode is going to evolve. No-stat options is wonderful for this mode cuz movespeed is really important in Hyperium, nothing to say about that for the passmode mode. So here is a top view of the map : https://imgur.com/3k1beAH. In Yellow is where you can throw the ball from 1 hole to another, and in purple is where you can wj to go back def faster. 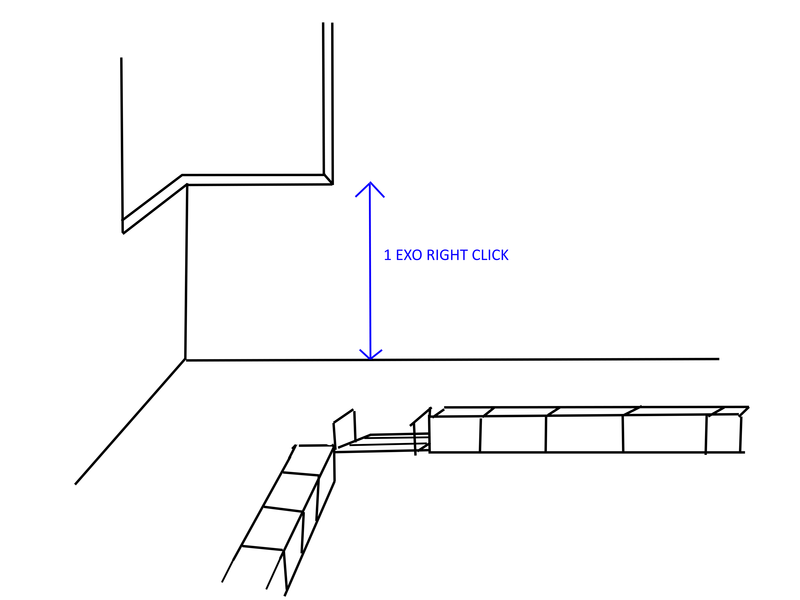 Each grey line is where there is a little wall that has the same height as 1 exo right click. The reset area is supposed to be like Old School one. Grey area : Areas that are a LITTLE BIT* higher than the ground. Red and blue lines are lasers and circle are reset or TD. I thought that if we have kind of windows like this, Iron Boots power in Hyperium would be negated and it's more fun to throw the ball from cube shaped room to other, the teamwork would be great ! o: An environment I see for this map is a private weird laboratory with a mad scientist as a sets ! I dunno if it's clear enough. It's like many cube shaped rooms so you're always inside a room except where there are the windows where you can fall and ofc reset. The post was edited 1 time, last by Union.Yukari ( Aug 4th 2018 ). Ohw yeah my bad, let me correct this, thank you ! Like, nobody uses the side to TD, the glasswall needs too many damage to be broken, why are the top laser for at the side too ? You are completely missing the point here. All this is made to make it harder to solo score which is good. What is not good is that there are no lasers on top of the main gate so everyone can just boots+scythe into the goal. Also the scythe shouldn't be a requirement to play a map. Yeah that's true, IB Scythe are way too powerful on that map. Scythe isn't a requirement to play that map, it's just to give you a scale of the height I have in mind. But as you can see, you can easily WJ on the wall on the left and be as fast or even faster than a Scythe Beam. The "higher" area that I put in a darker grey are here to enable ppl to wj and reach the spots more easily.